I always make sure I have cleaning wipes and products in the house as I am a little OCD about certain areas of the house been super clean and hygienic e.g. bathroom and kitchen. 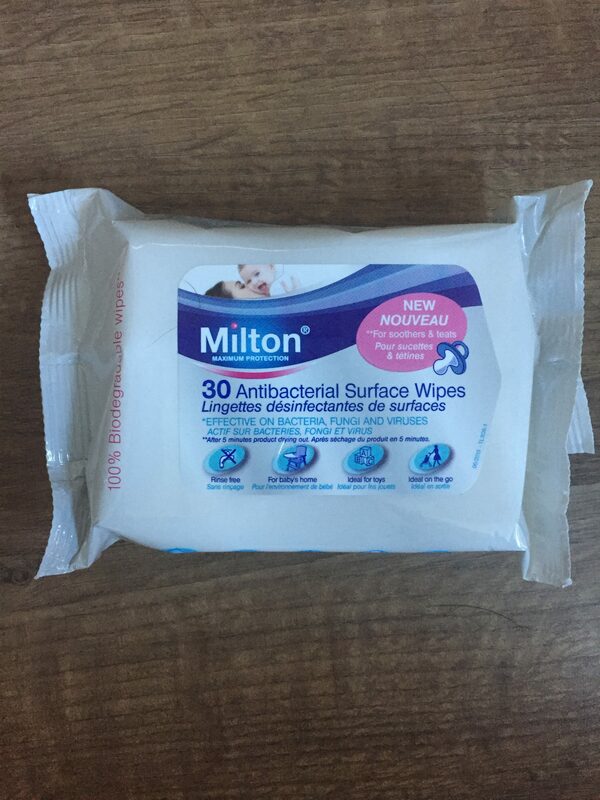 I have baby wipes – despite not having a baby, they are so handy for when my niece and nephews come over, or to put in my handbag to take out with me, or even wiping down worktops and other items. They are priced at around £2.05 and come in packs of 30 wipes. These can be picked up from most stores such as boots, Superdrug, Sainsbury’s & Tesco. I don’t think they are too badly prices as Milton is a good popular brand. I would buy this product and recommend it to friends and new mums. *I was sent this product free of charge for the purpose of this review, however, all thoughts and opinions are my own.